Welcome yourself to luxury living with our Amish handmade Ellyons Panel Bed. Available in a full, queen or king size - this Amish panel bed can be crafted in a variety of sizes to fit in your bedroom. 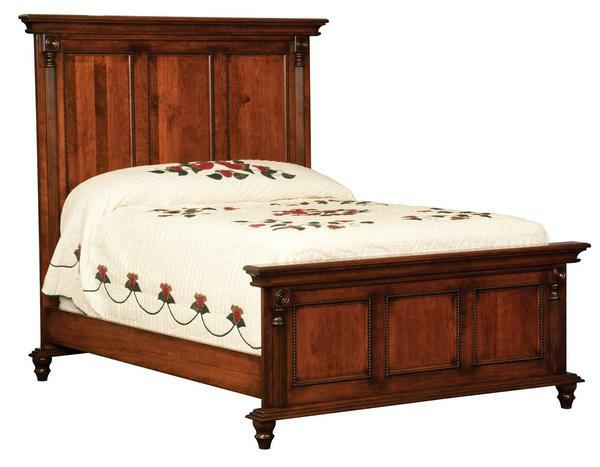 This formal style Amish bed has a beautiful headboard and footboard with lots of detail that you will be able to appreciate in your bedroom. Add a sense of elegance in your bedroom with the addition of this formal handcrafted bed. Shown in Cherry with Michaels Cherry/Burnished stain.